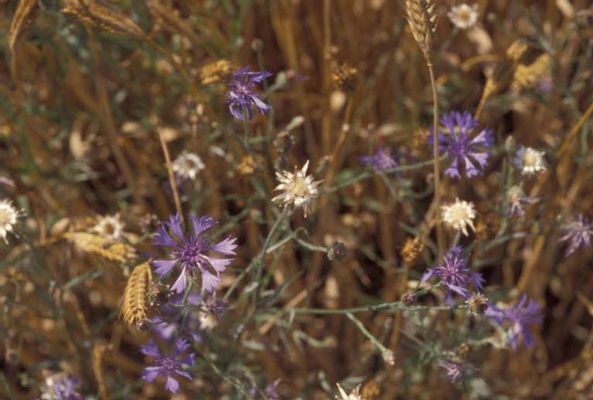 An erect winter annual with long white hairs and blue, white, or pink flowers. 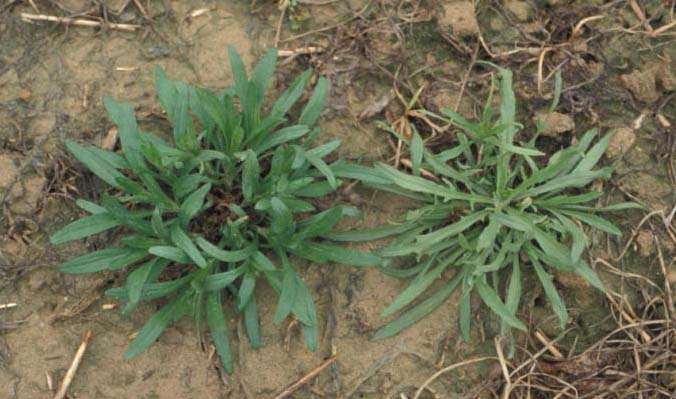 Plants may reach 3 1/2 feet in height and primarily occur as weeds in winter small grains. Found throughout the eastern half of the United States and also from California north to Washington. Stems below the cotyledons (hypocotyls) are stout and without hairs (glabrous). Cotyledons are without hairs but the first true leaves have hairs and a grayish appearance. Erect, branching, and also covered with long white hairs. Many solitary heads are produced on long flower stalks (pedicels). 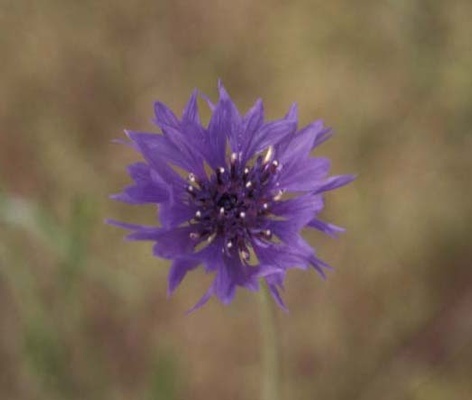 Individual flower heads are approximately 1 to 2 inches wide and blue to purple, white, or pink in color. An achene that is approximately 4 mm long and 2 mm wide. 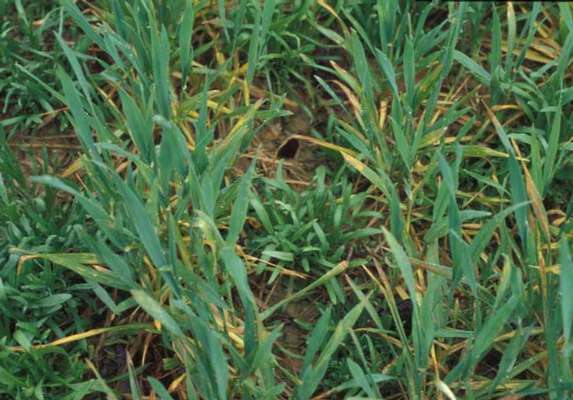 Winter annual with leaves and stems that are covered with long white hairs and leaves that resemble a grass. 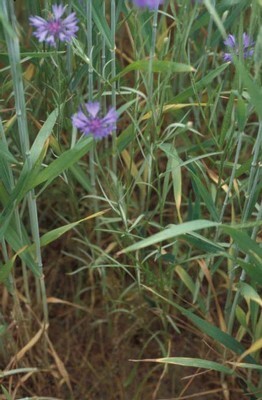 This weed is sometimes confused with both Spotted knapweed (Centaurea maculosa) and Corn cockle (Agrostemma githago). 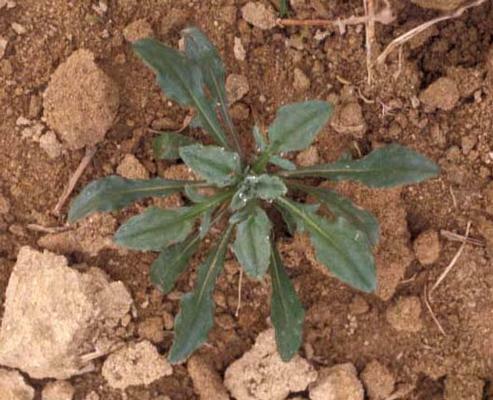 However, Spotted knapweed forms a basal rosette of leaves during the first year of growth and its leaves are much more deeply lobed than those of Cornflower. 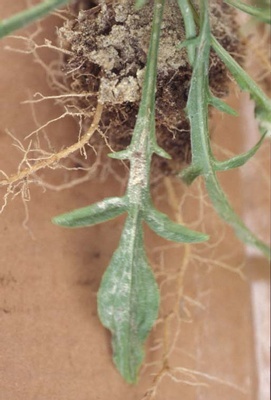 Additionally, the leaves of Corn cockle are joined across the stem and the stems of this plant are swollen at the nodes whereas neither of these characteristics occurs with Spotted knapweed or Cornflower.